Whether you like to clink champagne flutes on the dance floor or while cozied up at home with family and your cat, at midnight, we all want to start out the New Year in a good spot. 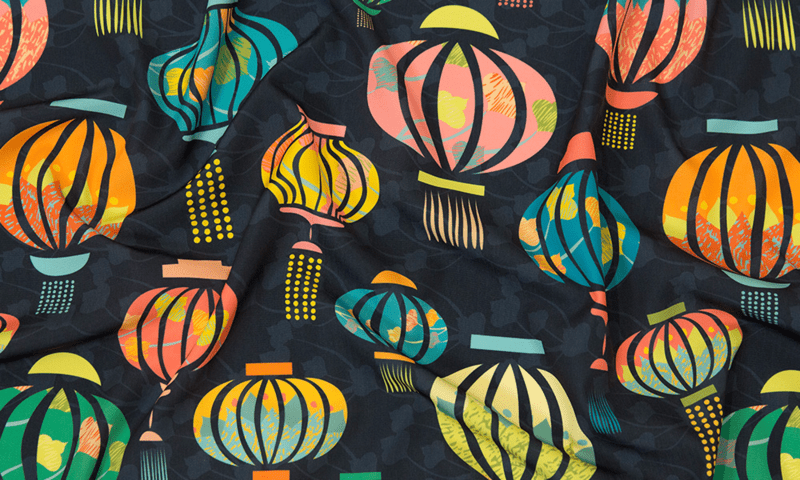 Let's toast to the winner of our New Year Traditions Design Challenge, "New Year Lantern Festival" by Cecilia_mok, and bestow prosperity and creativity upon the entire top ten for yet another year, for they are all starting 2016 on a high note! [Read more…] about Announcing the Top 10 New Years Tradition Fabrics!